strategic consulting, coaching, training & research. Transition creates opportunity. And there are few transitions bigger than the one needed to change from a “Working Person” to a “Working Parent.” We help you do the important (and difficult) work of supporting employees in transition: providing a clear pathway out of — and back into — the workplace for your valuable employees. What we offer is more than a work-life benefit. It is an investment in your company’s leadership pipeline and a way to strengthen your position as an employer of choice. Our evidence-based approach has the power to harness the inherent personal growth of parenthood, transform your workplace culture, and improve your business. Read on to learn how our services can benefit your organization. We are in the midst of a seismic cultural shift that is redefining parental leave policy and practice for our companies, our working families and our country. The social contract is being rewritten. Our consulting services help you navigate this new terrain and turn parental leave – a timeframe that has historically been considered a career “time-out” – into your company’s most powerful leadership development, culture change, and brand positioning opportunity. Our nine years of experience in the U.S. and internationally, combined with our global network of collaborative experts and our evidence-based framework, helps you avoid risks associated with ad-hoc leave policies and provides your valuable employees with truly supportive leave policies and practices proven to help them perform at their best during their parental leave transition. The results speak for themselves: improved retention, morale, and productivity that solidifies your reputation as an employer of choice. RETAIN Coaching is more than a work-life benefit. Our flagship program is a customized leadership development and employee support experience that engages sustained commitment through collaboration, open communication, and action planning. Our RETAIN model provides a set framework to track and replicate results, yet is customized to each client’s unique situation. 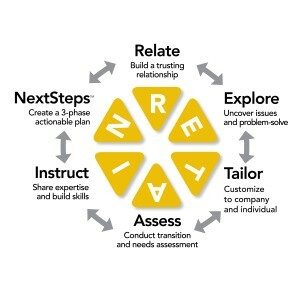 This flexible foundation allows our RETAIN certified coaches to capitalize on emergent leadership development opportunities, while also guiding the client through the more predictable challenges experienced during this major work and life transition. 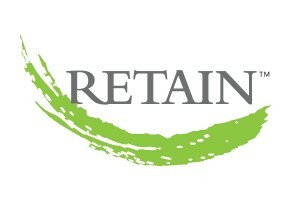 The full RETAIN program includes a standardized multi-step process over 9-12 months. Our systemic approach requires the active participation of the person going on leave, as well as their manager and an organizational representative (such as HR) at specific points. Other internal or external stakeholders may be included as necessary. With methods rooted in organizational behavior, leadership development, and work-life research, we offer both maternity coaching and paternity coaching. Our programs recognize that mothers and fathers navigate different cultural expectations and assumptions about their roles at work and at home. Our structured RETAIN sessions help clients hone their leadership skills, reduce stress, resolve conflicts and develop a strategy for their careers unique to their short term priorities as well as their long term career focus. After repeatedly being asked if we could offer RETAIN directly to couples we have developed our first, and currently our only, “direct to individual” product. Our RETAIN Couples Coaching helps dual income couples develop a strategy for managing competing priorities with transparency and openness. Developed as a five session package, this series allow partners to work together to implement a mutually beneficial structured plan to help them navigate the complex and often competing demands of a dual parental leave transition. Data tells the story of where you’ve been and ensures you end up where you want to be. 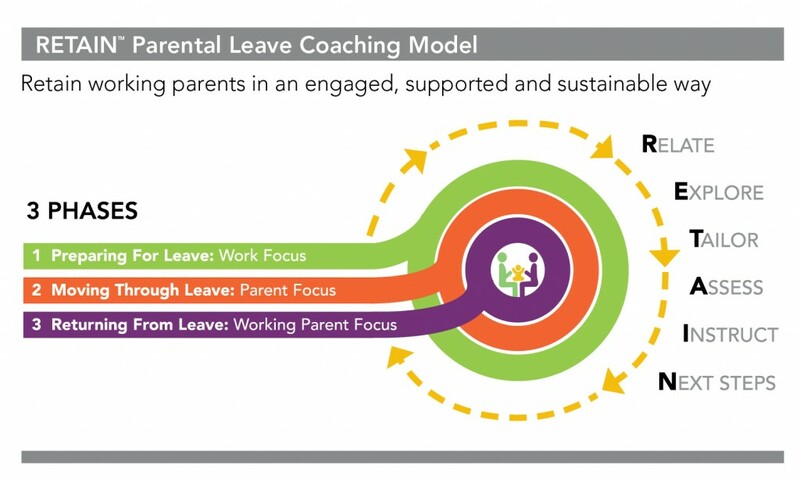 It’s our most powerful tool for implementing successful changes to your parental leave program. Our work is built upon creative, meticulous research so you can make thoughtful, solid decisions. A new toolkit for a new culture. We partner with some of the best research minds in the field to create impactful, memorable, and transformative learning. Our training topics can be tailored to fit different audiences and formats, including full or half-day workshops, lunch and learn talks, webinars, online training modules, and panel discussions. based suite of services includes assessment measures and online training designed to teach supervisors and managers how to ease work/life conflict and better meet the needs of the changing workforce. The FSSB training has been tested across multiple industries and found to improve the health and well-being of workers and the organizations in which they work. FSSB research has been supported by grants from the National Institute of Health and the Centers for Disease Control. A parental leave specific FSSB module is in collaborative development and will be read to pilot soon. 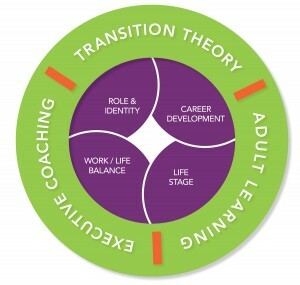 Created by Dr. Amy Beacom, in collaboration with and building upon the work of, Dr. Nancy Schlossberg (the creator of Transition Theory) and Stephanie Kay, our 6-S approach helps expectant parents learn how to increase their assets and decrease their liabilities to make parental leave more manageable and enjoyable, while significantly increasing their odds of transition success. This training is also useful to managers as it provides a developmental framework and shared language for parental leave facilitation. This customized two-part training is a way to quickly embed your parental leave change goals throughout your organization. Phase 1: Our RETAIN Orientation workshop is a way to educate multiple constituents (usually managers and HR representatives) about the RETAIN process and your company’s unique parental leave objectives, support products, and practices. Phase 2: Our RETAIN Certification is a facilitated experiential learning process that takes place when the manager/HR rep supports his or her first employee throughout their RETAIN parental leave program. Managers/HR reps who complete both phases receive RETAIN certification credentials demonstrating their parental leave leadership. Parental Leave: Trend, Fad, or Requirement? Back to Work. Now What? Lean In or Let Go? To learn more about how our services can benefit your company, please contact us. Our clients are conscious companies aware that becoming a parent is often a stretch leadership role and an opportunity for genuine growth. Our clients also recognize that losing leaders comes at great expense, while engaged retention can be priceless. CPLL is accepting applications to begin training its second cohort of RETAIN Certified™ coaches in mid 2015. If you are interested in learning more please send us an email (and don't forget to tell us about yourself! ).